Supplier of domestically produced duty paid goods when supplied to EOUs / SEZs / Projects under International Competitive Bidding (ICB) / Mega Power Plants / World Bank Funded Projects can seek refund of terminal excise duty as also drawback of the duty paid on the inputs used in manufacture of such goods. However such refund is not permissible for VAT paid on such domestically supplied goods. a) The supplier of final goods, in the course of deemed export, will pay the IGST on his supplies and can claim refund, only if, the IGST amount has not collected from the recipient. It is also required to be verified that the recipient has not availed the input tax credit in respect of such supplies. b) The supplier may file a simple refund application along with a Chartered Accountant’s Certificate certifying the fact of non-passing of the GST burden by him, being claimed as refund. GST Law Drafting Committee may prescribe a threshold amount below which self-certification (instead of CA Certificate) would be sufficient. c) The recipient unit would be eligible for refund of IGST, if it has actually paid IGST at the time of obtaining goods / services from the domestic supplier. In no case, both the supplier and the recipient unit can obtain refund at the same time in respect of the same transaction. A suitable validation to block such double claim should be built in the GSTN /refund processing backend system. d) Such recipients may not be registered under GST regime and therefore they would have to submit copies of all the invoices, etc. in case claim of refund is filed by them. It is also recommended that this recommendation may be specifically brought to the notice of EC as this is deviation from the present practice being followed by the States. i) It was suggested that as a thumb rule, up to 90% of the refund claimed by the taxpayer may be sanctioned automatically by the system. The balance amount of refund may be granted after completion of verification of documents / accounts to be done at the end of the financial year and to be completed within a period of three months. The issue was discussed and it is recommended that partial refund may not be allowed and entire refund claim may be sanctioned within the time limit laid down in the GST Law. 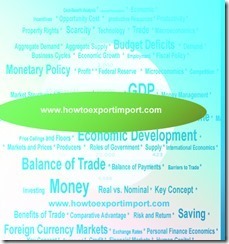 ii) It was noted that there may be certain goods on which Customs Export Duty may be leviable. It is recommended that in such cases refund of ITC of GST paid on inputs (including input services) used for such exported goods may not be admissible. iii) Requirement of BRC for sanction of refund in respect of export of services and as a post facto verification in case of export of goods may be provided in the GST Law. iv) It was noted that the exports would be treated as inter-state supplies and therefore IGST would be required to be paid by the taxpayer in cases GST is paid at the time of export. Refund of such IGST would have to be paid by the Centre. In case of refund of GST paid on inputs (including input services) used for exported goods, the refund of CGST, SGST or IGST may arise and the same needs to be paid by the respective tax administration. A suitable validation to block use of same tax invoices for more than one refund claim should be built in the GSTN /refund processing backend system. v) It was further noted that the principle of unjust enrichment is not applicable in case of actual export of goods or services as the recipient is located outside the taxable territory. 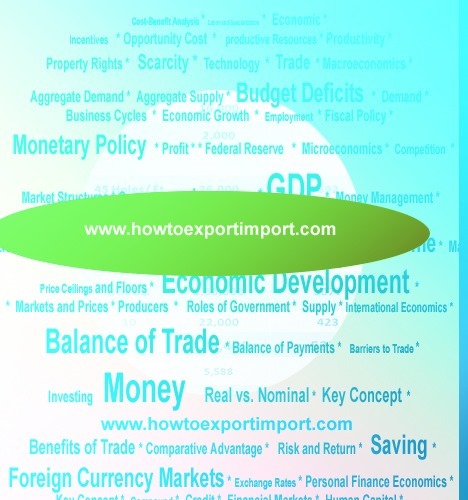 In case of deemed exports, however, the concept is applicable. vi) It is further recommended that the amount of input tax credit claimed as refund may be blocked at the time of time of submission of application for refund itself. And if the refund claim is rejected wholly or partially the rejected portion of the ITC claim amount will be restored in the ITC ledger of the applicant. When does exporter get EP copy of shipping bill after customs clearance. Is letter of credit safe mode of payment? Feroze: On 30 July 2017 We are dealing with Indian Handicraft and carpets which was exempted in VAT. Now we have 12% GST on handicrafts as well as on carpets. we have 90% sales of foreign customers they r comming to our store and buying the goods by paying INDIAN ruppes mostly foreign currency ( by card) Can i take those sales as a deemed export? DO I need to pay any tax for that? Please ADVISE? What do you know about Deemed Exports? How to get refund of GST tax paid by an Exporter? When does exporter get refund of GST paid?